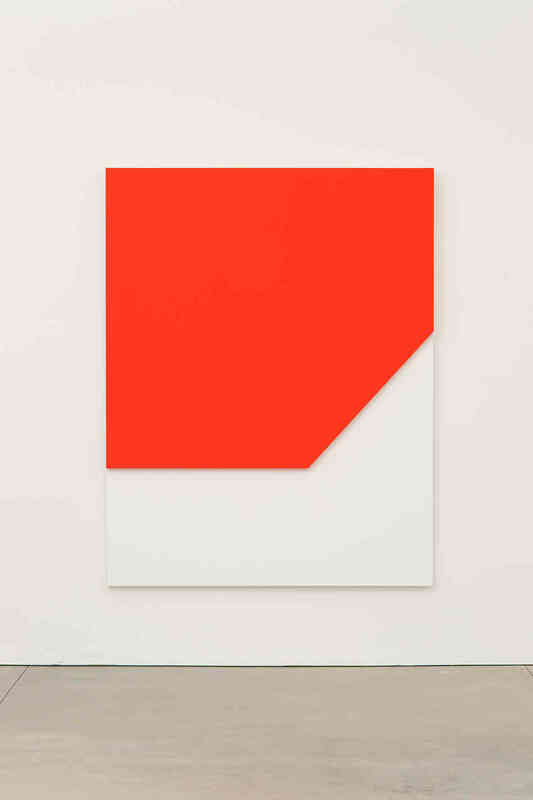 Ellsworth Kelly, Red Relief, 2009. Private collection. Photo: Jerry L. Thompson, courtesy the artist. © Ellsworth Kelly. As an educator, I find lessons of modern-day simplicity to be a great starting point for fine arts students. The field of design revolves around how art interacts with the tasks and perceptions of everyday life. Design isn’t just aesthetically pleasing; it also serves an everyday purpose. I believe art should be people-focused and design should serve as a platform for which dialogue and discussion is facilitated. Perceptions of light, color, and space aid in constructing a design and in developing visual literacy. In addition to written/verbal literacy, I think visual literacy is an integral skill one should possess. The work of Ellsworth Kelly, currently on view in the Panel Paintings 2004-2009 is interesting to consider in relation to the subject of design and human interaction. Kelly, whose works I see as brushing between minimalism and post-painterly abstraction, has a clear and calibrated eye for design. Having formerly been a graphic designer, and currently an art educator, I see elements of two-dimensional and three-dimensional design as imperative when understanding Kelly’s artistic process. Design in itself best communicates with the viewer when clarity is achieved, an element Kelly has mastered. Formations of line, symmetry, and composition aid in developing a clear message within his pieces–these messages, however simple in design, evoke a tapestry of complexity within their meaning and interpretation. It is this eye for simplicity in design that I hope future learners adapt and refer to throughout their art making process. Artistic intelligence lies in being able to condense such rich information into its purest, simplest form–to capture it, and still be able to communicate it to the audience. Who are some other artists you believe share Kelly’s approach to aesthetic simplicity? Is visual literacy an important skill for all learners to possess, not solely art students? In this video, hear artist Ellsworth Kelly discuss his installation at the Phillips with Director Dorothy Kosinski and Senior Curator of Modern and Contemporary Art Vesela Sretenović. Ellsworth Kelly: Panel Painting 2004–2009 is on view through Sept. 22, 2013.